Aug. 29, 2018 -- One person has died and 17 have been sickened from eating kosher chicken contaminated with salmonella, the CDC says. The agency and the USDA’s Food Safety and Inspection Service are investigating the multistate outbreak that appears tied to Empire Kosher brand chicken. Of the 17 people sickened, eight have been hospitalized, the CDC says. The death occurred in New York. Other cases have been reported in Maryland, Pennsylvania, and Virginia. The illnesses started in September 2017 and were reported as recently as June, although more cases may still be identified, the agency says. The CDC has interviewed 14 of those who have become ill and all reported eating chicken. Nine said they knew which brand of chicken they ate, and of them, seven said it was Empire Kosher chicken. Food safety investigators found a strain of salmonella at two processing facilities, including one that handles Empire products. The CDC is not recommending consumers avoid kosher chicken and the Empire Kosher brand for now. 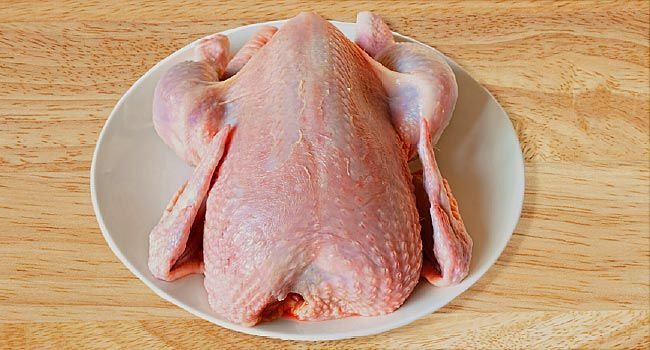 Remember to always wash your hands before and after handling raw chicken and to thoroughly wash countertops, cutting boards, and utensils with warm, soapy water after they come in contact with raw chicken. Always cook chicken to at least 165 degrees. Salmonella may cause diarrhea, fever, and stomach cramps within 72 hours of infection. Symptoms usually last 4 to 7 days, and most people recover without treatment.